For years I thought I had terrible skin. I admit that I can be an extremely judgmental person, but my skin really was never that bad. I've come to realize that I fall into the decent - good category, and given the right products, I can almost fall into the great- 'I hate you category'... almost. The thing is, I seem to suffer from a sort of skincare self sabotage. When my skin gets to be looking great, I get a bit over confident and then get lax with my routine and eventually back slide to just okay skin. Who wants just okay when you can have fabulous? Riiight?! Lately, I've been very diligent with my skincare routine. 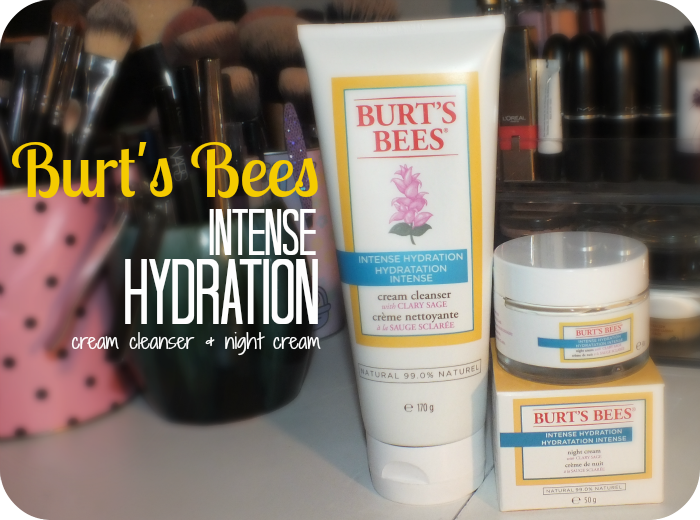 Two major players have been Burt's Bees Intense Hydration Cream Cleanser and Night Cream. 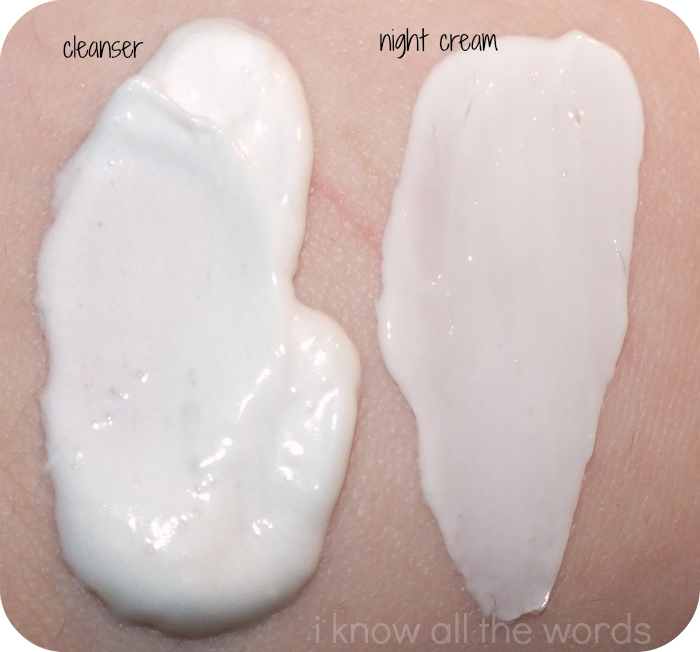 I tend to have hit and miss experiences with cream cleansers. In theory, they are excellent for those with skin that tends to be dry and is easily stripped, as the cream formulas are generally quite gentle. The downside, is that I find they don't always leave my skin as clean feeling as I'd like (I want to feel squeaky!) and they often can be a pain to remove due to their thicker texture. I can happily sate that I had none of those issues with this cream cleanser! It is thick and creamy, but light in texture. It lathers nicely, has a light, clean scent, and rinses with ease. I found that you only need a little dab to get a fully cleansed face. I normally remove my makeup before cleansing, but I have used this directly on a full face of makeup and it was able to fully remove everything. This cleanser left my face not only clean, but it also felt great: no tight feeling, and not stripped and dry. 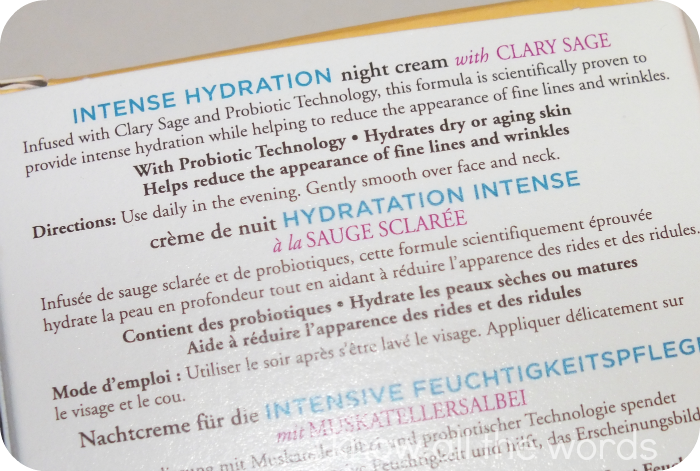 Although it wouldn't stop me from using a moisturizer after cleansing, this cleanser does seem like it adds a bit of hydration to my skin. Night cream is not something I tend to seek out. I've used it in the past when it ends up in my possession for one reason or another, but I don't make a big deal over night cream. That said, I like the idea of one, especially during the winter months, when my dehydrated skin can be particularly drier than normal. 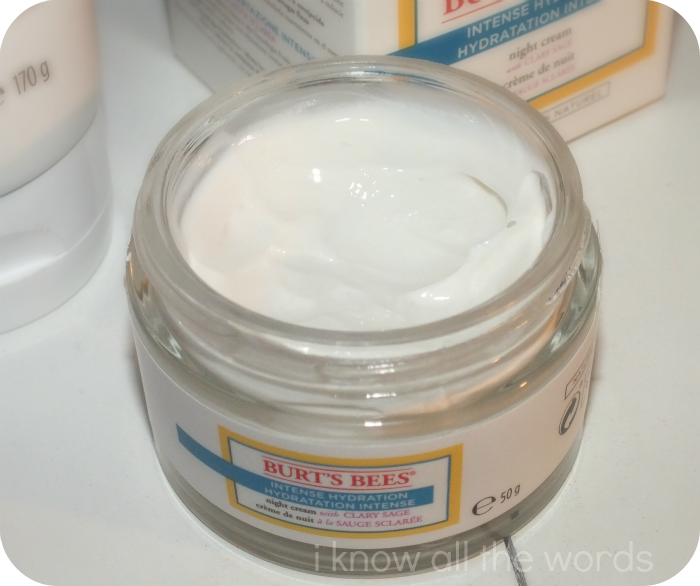 This moisturizer is thick, and it feels like it should be heavy feeling, but it absorbs nicely and doesn't feel heavy on. It definitely earned it's 'Intense Hydration' title though. I've found it provides a major dose of hydration and doesn't leave me oily in the morning like other rich creams have in the past. I've even used it as a day cream, and while I assumed I would end up regretting it, I had no issues with oiliness throughout the day either. All around, a pretty great moisturizer in my book. Overall, I'm really happy with both of these products. The cleanser is gentle and effective and the moisturizer packs a major punch without being oily. The Intense Hydration range also includes a day cream, eye cream and treatment mask. Have you tried any of the products from this line? Products were provided through my participation in BzzAgent, but all opinions are honest and my own.